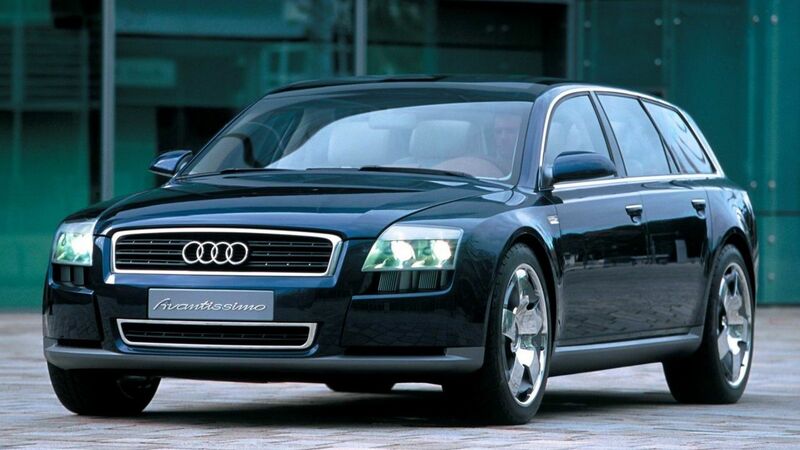 The Audi Avantissimo was in the fall of 2001 at the International Motor Show (IAA) in Frankfurt Audi presented concept study, an imaginary for the upper class estate. The vehicle had an eight-cylinder biturbo engine with 4.2 liter displacement and 316 kW (430hp) and a six-stage automatic transmission. Aluminum chassis, air suspension and four-wheel drive ensured at the IAA for attention. The study is the first contained the infotainment system MultiMedia Interface. The model had a glass roof, the seats could be adjusted electrically. The tailgate could be up to 70 degrees open continuously.